We don’t see imperfections, we see character and individuality. We believe the best craftsmen show restraint. In fact, the less our craftsmen do, the better. We don't see imperfections, we see character and individuality, and we want to celebrate that. So rather than cutting a diamond to a shape it never asked for, we simply give it a loving setting and let it be. 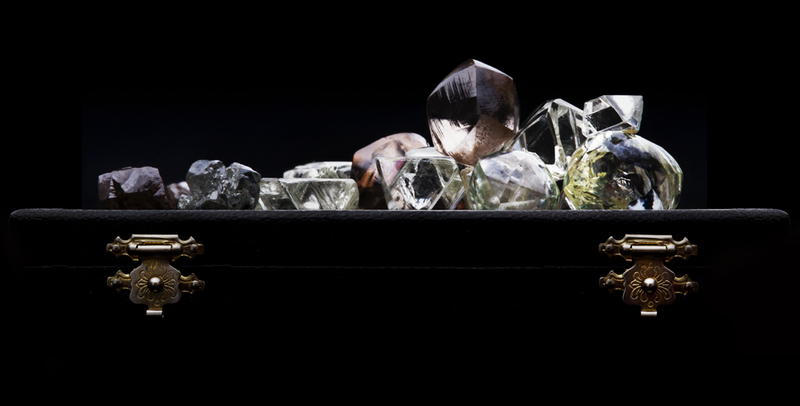 For a secure foundation, we always use the strongest 14 karat gold around the diamond. Maya Bjørnsten works to create confidently understated works of art befitting the diamonds' natural beauty. And because no two raw diamonds are the same, no two pieces of jewellery are the same. We wouldn't want it any other way.